The morning begins with the wattlebird in the banksia. The golden autumn day invites a walk to Lagoon Pier is at the end of the street (apart from the interruption of Beaconsfield Parade). 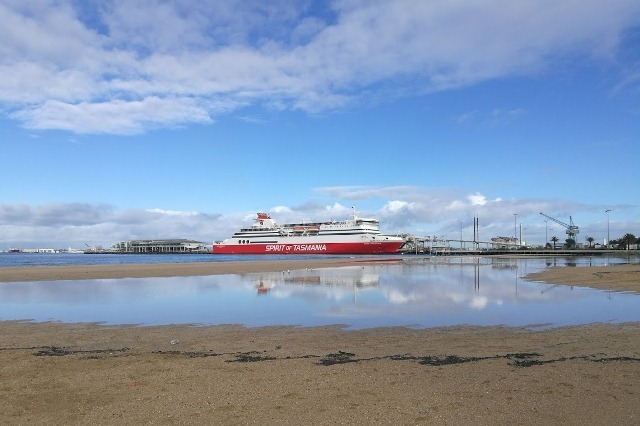 Lagoon Pier may not be the longest or the widest pier but it is a ‘just right’ pier for Port Melbourne with its returning curve allowing a view back to the shore. A pair of crested terns perch at the shore end looking into the water with formidable concentration before taking off and returning always to the same spot. Last year there was only one. 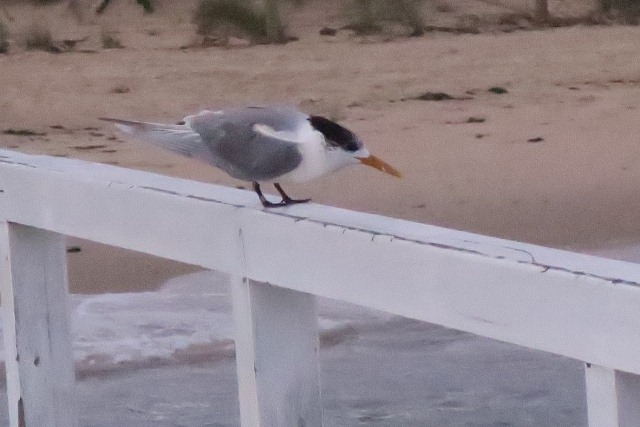 While crested terns are common along the coast according to BirdLife Australia, their conservation status is ‘near threatened’1 in Victoria and they are an unusual sight in Port Melbourne. 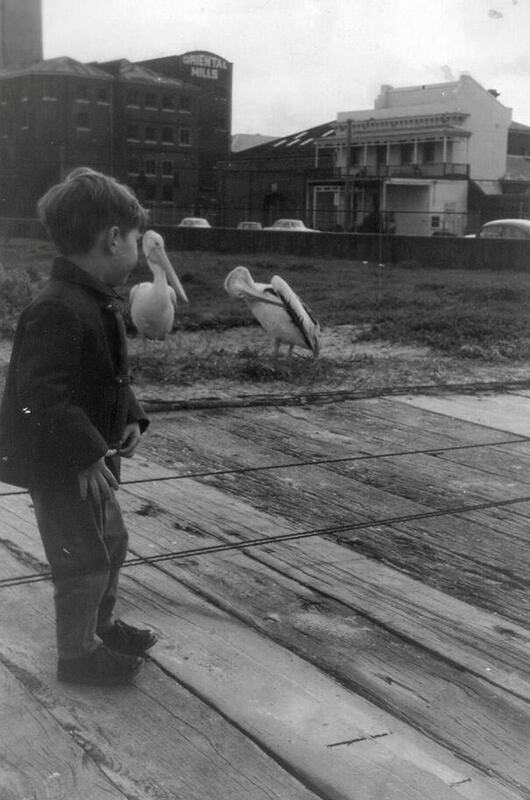 In the 1960s fisherman Dugga Beesley brought in his catch at Lagoon Pier and pelicans were attracted to the feed. Nearby, when heavy rain coincides with a high tide, a temporary wetland forms at the Princes St stormwater drain where the London used to be. (We’ll need a new reference point now it’s gone.) The drain is perceived by many to be a blight, but the wetland attracts birds not usually seen in Port – Pacific gulls, more terns, masked lapwings and clouds of silver gulls. When the water recedes, a feather lined shape marks the former extent of the water. Since 2007 on the first Monday of each month, a bird survey has been conducted in Westgate Park. The range of environments in that 38 ha park – trees and shrubs, shallow and deeper water bodies, provide for many different bird species. In March this year, 45 different species were recorded: 21 wetland and 24 land based birds. Data gathered over a decade begins to tell different stories – fewer sightings of raptors following the redevelopment of Webb Dock, encouraging signs that some birds are now breeding within the park and the crucial role the park plays as a stopping off place on seasonal movements around Victoria and beyond. A lone Latham’s Snipe has been seen in the Park over the last two months. Recently those surveys have been supplemented with a survey at Gasworks Arts Park recording fewer species, usually about 12. Following Gasworks artist Ursula Dukiewitz’s reports of seeing a Black faced cuckoo shrike, Butcher bird and swallow tail butterfly in this scrap of trees on Richardson/Pickles St, I ventured into this fairytale wood breaking spider webs as I entered. 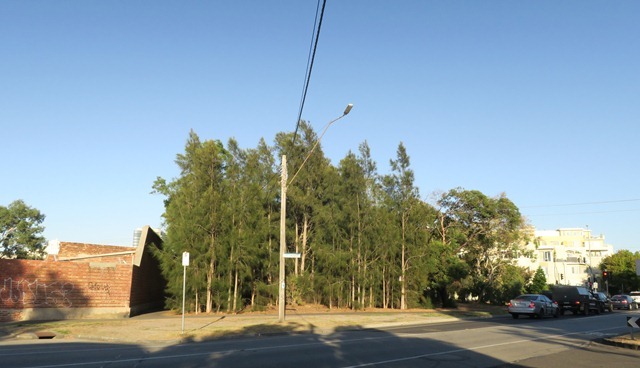 Amazing that this fragment of forest on a busy inner urban intersection should be so undisturbed by human presence. This site forms a network with Gasworks Park and the growing vegetation complexity of the fringes of Lagoon Reserve. All these fragments play a role in supporting bird populations but there are gaps between which our streetscapes and footpaths can fill. 1 Near threatened is a conservation status given to species or lower taxa that may be threatened with extinction in the near future. However, it does not mean that the species is threatened. The Near Threatened taxa usually includes the Vulnerable species. This post was written in the week that the last male white rhino in Kenya was euthanised following a degenerative illness.